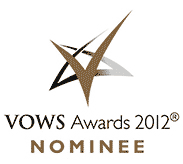 Vote for your favourite wedding suppliers and have the chance to win a second honeymoon! A private family home on the edge of Highland Perthshire, there are no other visitors or events to distract us from your wedding. Exclusive access three days before your wedding gives you the time and space to set things up as you want without feeling rushed. Come and stay in our beautifully renovated Scottish Castle - surrounded by stunning scenery in Glenisla, Scotland. The Atholl Palace provides all the ingredients that make up the dream wedding day. The character, the atmosphere, the added individuality and charm, the professionalism of our staff, always on hand to guide you through from the ceremony to the honeymoon. The Kenmore hotel offers the perfect venue for a Wedding! The hotel stands at the mouth of the river tay amidst stunning scenery and is considered by many to be one of the most idilic places in Scotland. Looking for something really special to get your party started? The Dave Amos Band is a ten-piece soul, funk and disco band based in the east of Scotland. Pitlochry, the heart of Highland Perthshire, blessed with stunning surrounding countryside and we believe in using it to its full potential. We arrange activities for families, stag, hen, large groups, couples, individuals and corporate groups. Browse the website... then do something different.